The UI theme designer is a browser-based tool for cross-theming scenarios. Use it to easily build your corporate identity themes by modifying one of the theme templates provided by SAP. For example, you can change the color scheme, or add your company logo. The tool is targeted at different user groups, including developers, visual designers, and administrators. With UI Theme designer you can create your own theme for the Business Client for Desktop. SAP Belize is also supported in the UI theme designer as base theme for SAP Business Client for Desktop. You can theme the Index Page, the New Tab Page, the Service Map and the Desktop Shell. You can change the color of the icons, but you cannot remove them. 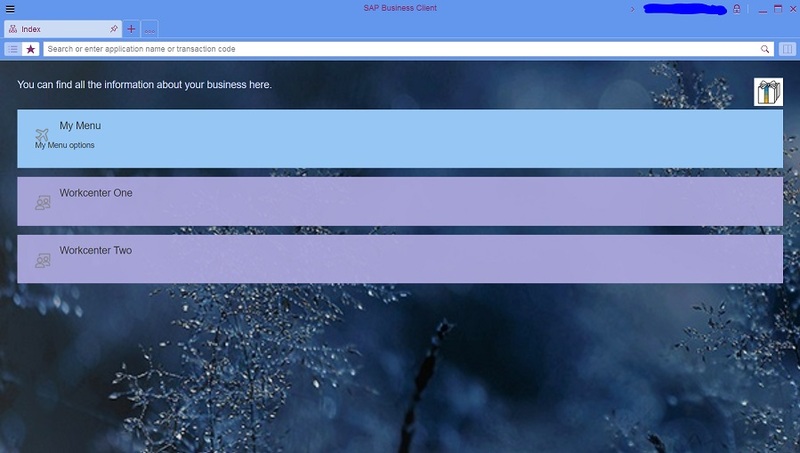 Next year with our upcoming new SAP Business Client version (7.0) it will be possible to theme your SAP Business Client with the Fiori launchpad connection. Use the expert tab and filter for nwbc parameters. Enter the transaction code /ui2/nwbc_cfg_cust and add your theme ID for your testrole as shown in the picture below. A happy and successful 2019!